If you are staying in the south of Tenerife, such as in Pearly Grey Resort in Callao Salvaje, you may be forgiven for believing that the island is somewhat dry and arid. Sure there are plentiful palm tree-lined avenidas, some stunning natural landscapes such as the Masca gorge and incredible cliffs of Los Gigantes, and of course an abundance of beautiful beaches to relax on with the sound of lapping waves washing onto the shore, but in terms of plant life and greenery, it can appear a little lacking. This is because the south of the island has indeed got considerably less rainfall during the year than the north, so as can be expected it’s more difficult for a wide abundance of plant life to survive. This is certainly not the case for the whole of the island though. There is somewhat of a north-south divide in Tenerife. Generally, the north of the island is far greener and more verdant, with a huge abundance of plant life which you won’t often see further south. 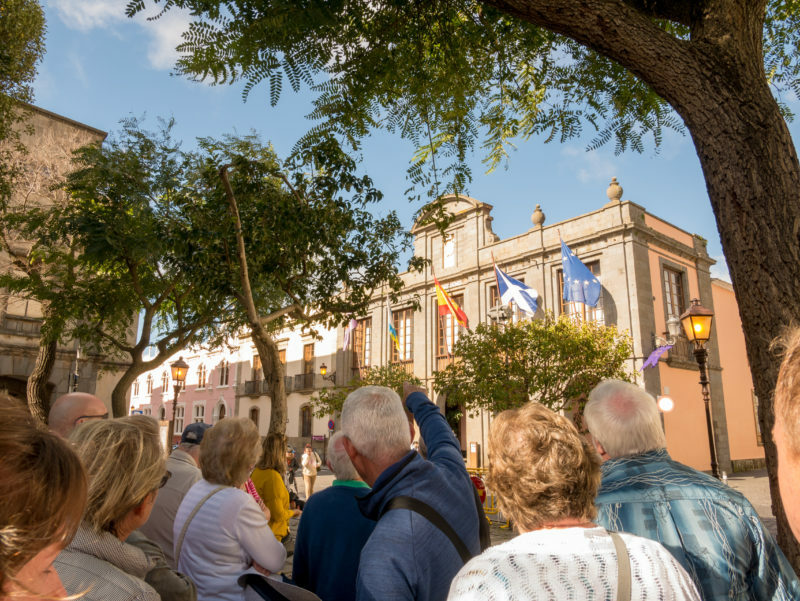 This divide extends to more than just the climate though; the north of Tenerife has a wealth of history and culture, and in many ways feels a lot more authentically Spanish and Canarian in appearance and culture. In the past, when tourists headed to Tenerife they often used to head to the original resorts of Punta del Hidalgo and Puerto de la Cruz. 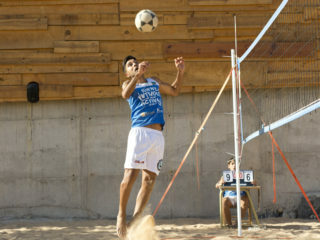 With the growth of the resorts in the south such as Costa Adeje, Playa de las Americas, Los Cristianos, Los Gigantes, Callao Salvaje and more, tourism in Tenerife has mainly shifted to the south. 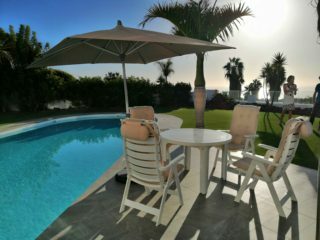 While there is indeed much to see and do in the south, plus the weather is generally warm and sunny almost the entire year round, meaning sunbathing and swimming opportunities any month of the year, the north of Tenerife should certainly not be missed out on when you come to stay. 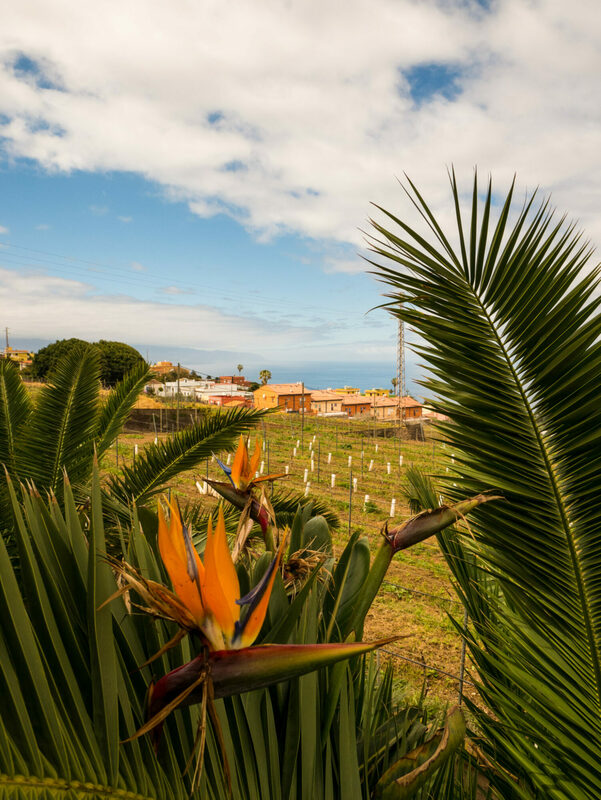 Luckily Viajes Nere Izerdie have you well covered with their wonderful wine tasting tour in the stunning north of Tenerife. 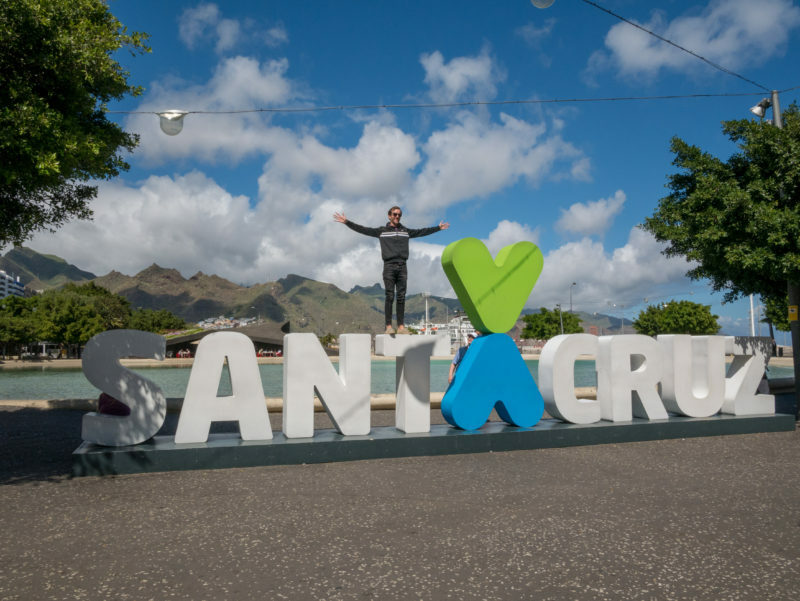 Recently myself, John (owner of Tenerife Magazine) and Gemma (head receptionist at Pearly Grey Resort), were invited on this trip and had an absolute blast and also learned a great deal about the island. What could be better; fun and learning all rolled into one brilliant day out with friends. 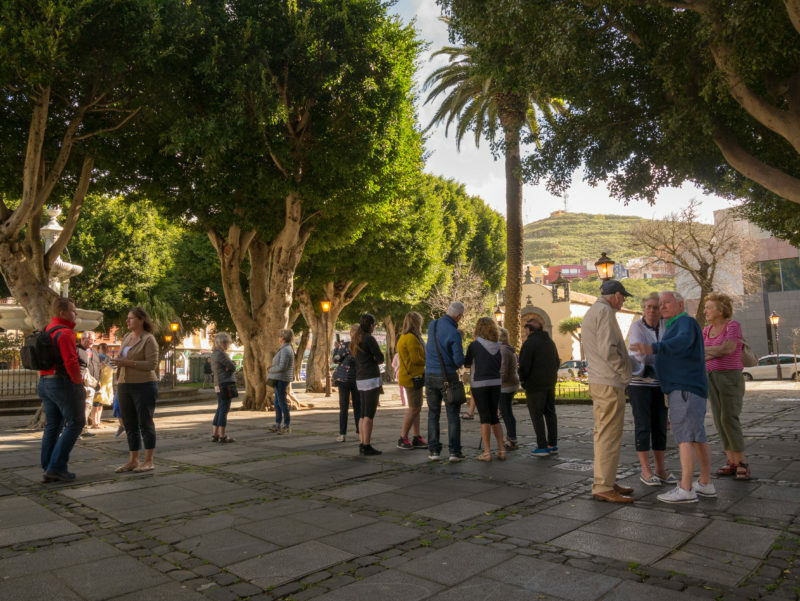 After being collected in the morning from Los Cristianos by the friendly and professional tour guide Francisco, and Ivan the driver, we were transported aboard the comfortable and modern company tour bus to our first destination, the historic former capital city of Tenerife, La Laguna. Along the way, Francisco explained in perfect English (and Italian for the Italian guests) the history of La Laguna and other information about the island. At first, it was difficult to tell exactly where Francisco was originally from as he spoke Spanish to the driver, but also perfect English and Italian to those on the excursion. We later found out he is originally from Tenerife, but had spent a number of years as a child in Surrey, hence his brilliant and ever so slightly posh British accent! 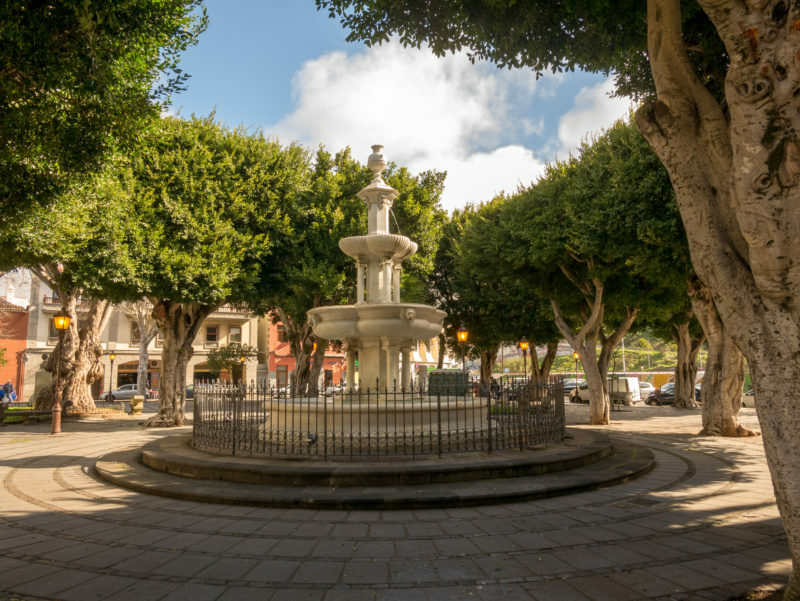 Both during the journey to La Laguna and upon our arrival and subsequent wandering around as a group, we learned a wide variety of fascinating historical facts about the city. San Cristóbal de La Laguna (the full name of the city) which is widely shortened to La Laguna, acquired its name from being in the valley of Aguere, where a large lake once existed (Laguna is lagoon in Spanish). The city was founded between 1496 and 1497, following the conclusion of the conquest of the islands by Alonso Fernández de Lugo, becoming the capital of Tenerife, and later the capital of the Canary Islands. 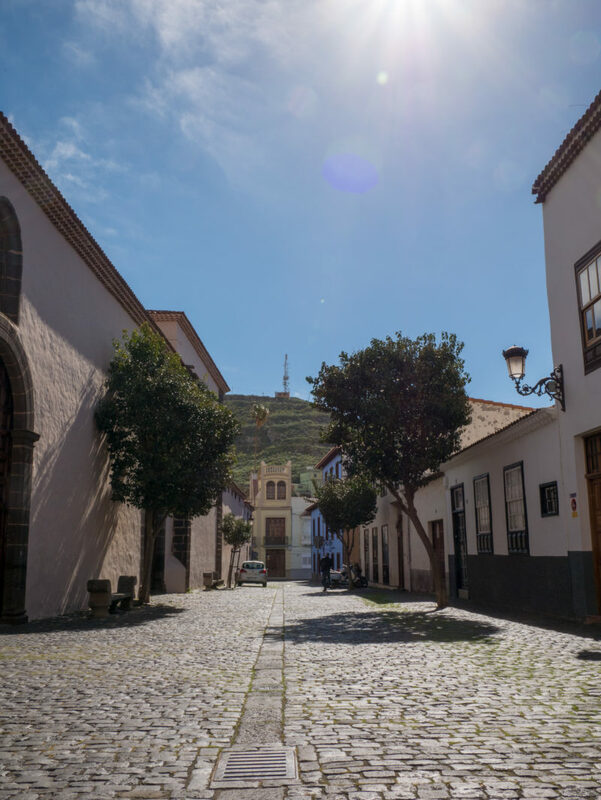 As you will see when you visit La Laguna, it is a very beautiful city, full of historical architecture, plazas and buildings, because of which it was declared a World Heritage Site by UNESCO in 1999, the only city in the Canary Islands to hold this accolade. If you have only ever stayed in the resorts of the south of Tenerife you will feel like you’re on another island as its almost completely different! You’ll notice that the city feels a lot more culturally authentic, with large pedestrianised cobbled streets and colonial buildings that have been there for hundreds of years. 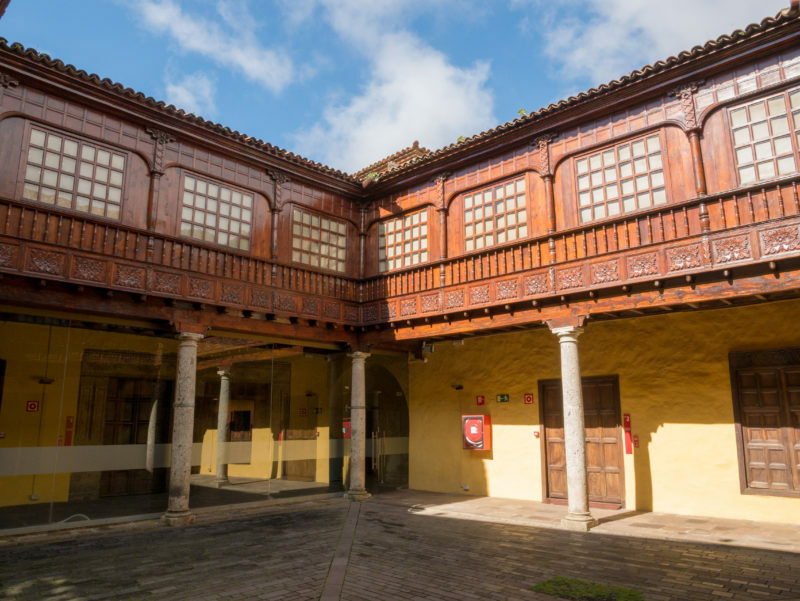 It is a fascinating place to start your trip to the north, all explained perfectly by Francisco, including brief looks inside some of the historic buildings and courtyards, where you can see attractive gardens and parts of the buildings constructed from hardy Canarian pine wood. This is a world away from the hotels and apartments around Tenerife’s coastline. I would say if you want to see the real Tenerife and Canary Islands, then you absolutely must visit this historical gem of a city, the third largest of the Canaries. 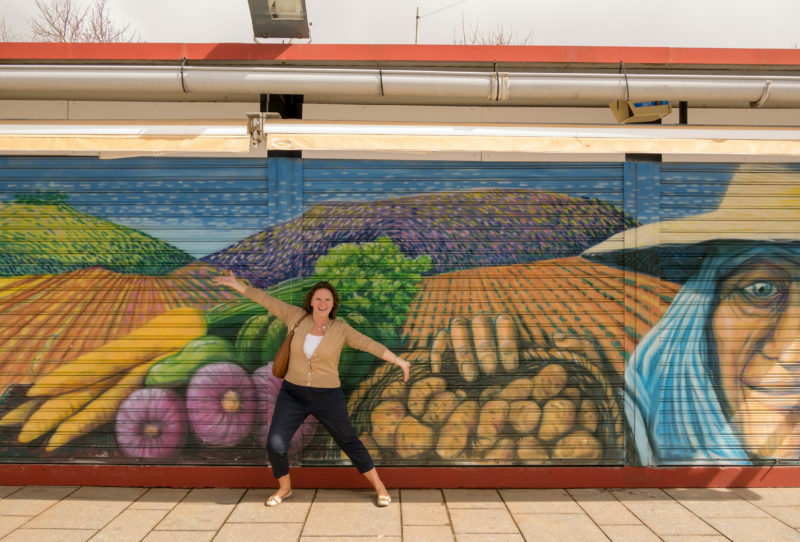 Following a wander around the streets, we were led to the La Laguna food market where there was an abundance of fresh fruit, vegetables and other locally grown and produced food and drink products to buy. Here you can see the locals at work and see the produce for sale that is grown on the island. Of course, many of us enjoyed a quick coffee too, to keep us boosted for the rest of the trip. After becoming fully caffeinated, it was back onto the bus to head further north than La Laguna to our next stop at the Bodega Presas Ocampo near the picturesque villages of Tacoronte and El Sauzal located in the Tacoronte municipality, where you will find the largest wine growing area in Tenerife. This is a verdant, beautiful area of the island that again, is completely distinct from the south. 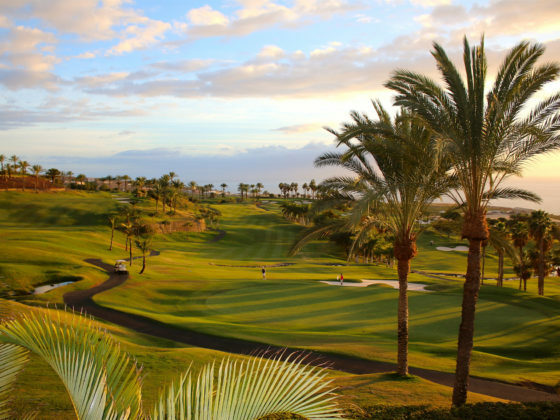 Due to the northerly aspect of this area which captures moisture from the prevailing northeasterly winds, you will discover a Mediterranean climate and landscape that is quite unlike the arid climate of the south of Tenerife and much of the rest of the Canary Islands. During the bus journey, we passed by farms, old manorial buildings and a number of different vineyards, most of which enjoyed spectacular views out to the beautiful blue ocean. 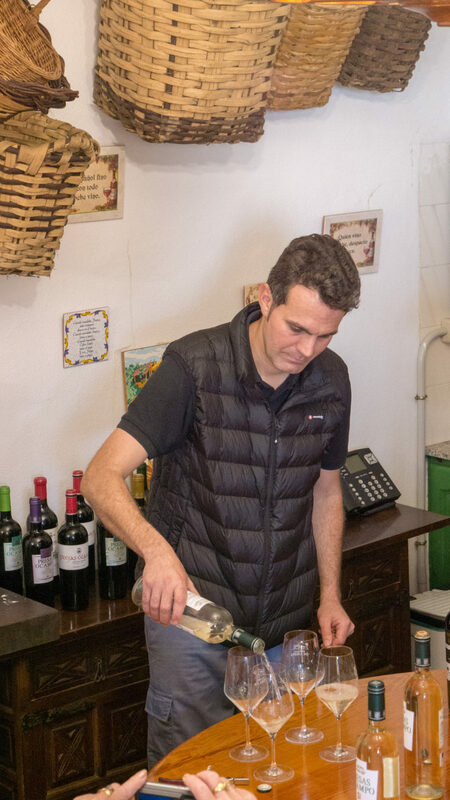 This was certainly the case for the Bodega Presas Ocampo winery, a pioneer of the Tacoronte-Acentejo Designation of Origin which we stopped at for a tour and wine tasting. The vineyard, where there were many different grape vines growing, had a wonderful view of the Atlantic ocean in the distance. There can be few more picturesque scenes than this beautiful rural scene in the northeast of Tenerife. 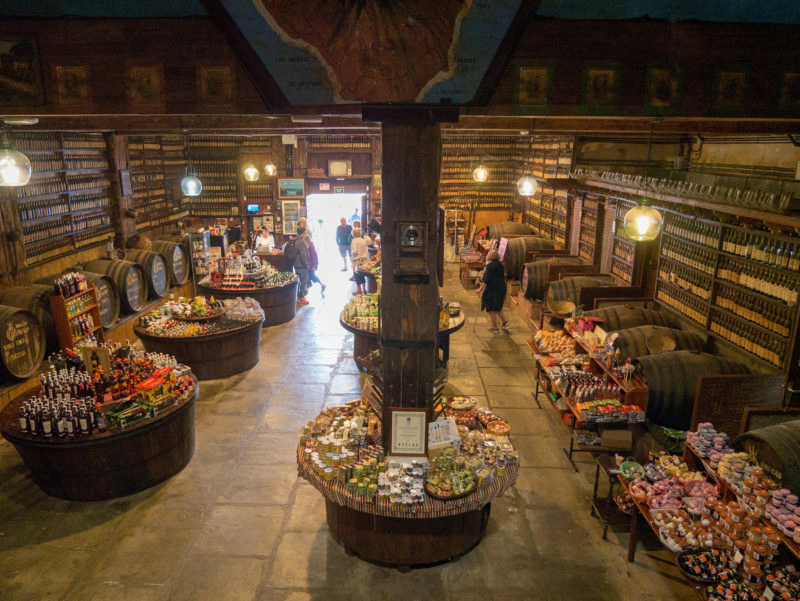 Inside was quite the contrast with an array of modern equipment for crushing the grapes, extracting the grape juice and separating the grape skin, rows of beautiful oak barrels for storing the wine, and a modern, efficient bottling machine. It’s clear that a lot of investment has gone into this family-owned business over the years. Following an explanation of this process from Francisco and a knowledgeable worker at the winery, we were led to another room that looked like a kind of old-fashioned kitchen/dining room. Here we were all seated to be able to taste and enjoy the wine. We were given both a white and red wine to try, both of which were very tasty. 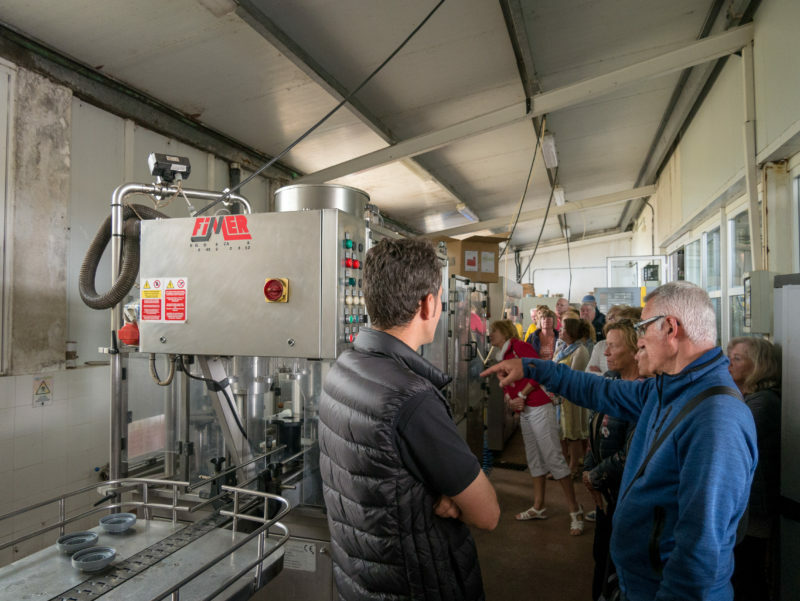 We learned that the time from harvest to drinking for the wines produced at this winery is generally around two years, and this is the case for many wines in the Canary Islands due to the climate and type of grapes used. Therefore most wines from the Canaries are young varieties. What many people probably don’t realise is how well established the tradition of wine production has been in the Canary Islands over hundreds of years, with the wine even being mentioned by Shakespeare in no less than 30 of his works, including some of his most famous plays such as Twelfth Night and Henry IV. This is because, during Shakespeare’s time, wine from the Canary Islands, specifically the type made from the Malvasia grape grown on the islands was regarded as one of the top drinks in mainland Europe at the time, including in England. This led to an economic boom period for the islands, due to this substantial popularity of Canarian Wine, especially in England. Sadly this period of growth ended in 1649 when Charles II came to the throne in England which was a very important export market. His taste was for sherry and his courtiers and countrymen followed his lead, and the desire for Malvasia started to decline. Production was further hit with the growing animosity between Britain and Spain, meaning that Britain began to boycott Spanish wines in the late 17th Century. While wine production and international popularity has by no means reached the levels seen during that boom period, in the last decade interest in Canarian produced wines has started to rapidly grow due to their uniqueness, creating one of the most exciting wine regions to emerge in the last 10 years on the international stage. Despite the often rugged terrain, potential for volcanic activity, and strong winds which don’t seem to lend themselves well to a great wine production environment, there are some major factors in favour of the winegrowers of the Canary Islands. 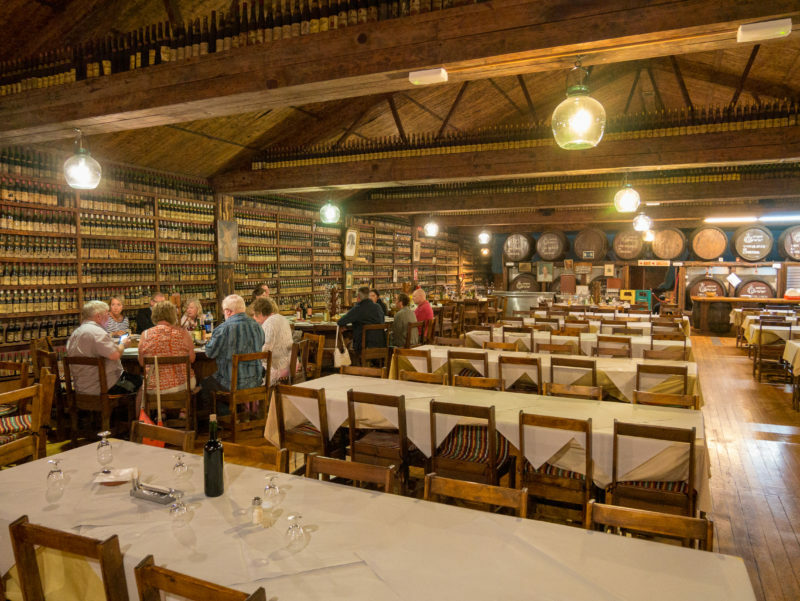 Probably the most important is that the grape vines can be ancient, sometimes literally hundreds of years old – therefore also having hundreds of years of complexity. This is due to the isolation of the region from the mainland, meaning that the disease phylloxera, a devastating root louse, that ravaged grapevines across mainland Europe in the late 19th century never reached those of the Canary Islands. Incredibly phylloxera is believed to have destroyed 90% of the world’s grape vines, so the wines of the Canary Islands really are some of the most unique in the world. Rather than hybrid vines that were grown in Europe by grafting European vines onto American rootstocks which were naturally immune, the grape vines in the Canary Islands are the original ungrafted varieties. To be able to taste wine grown from these varieties of grape is a fairly unique experience due to the rarity of these ungrafted vines. Added to this the year-round warm, sunny conditions are perfect for production all year round. 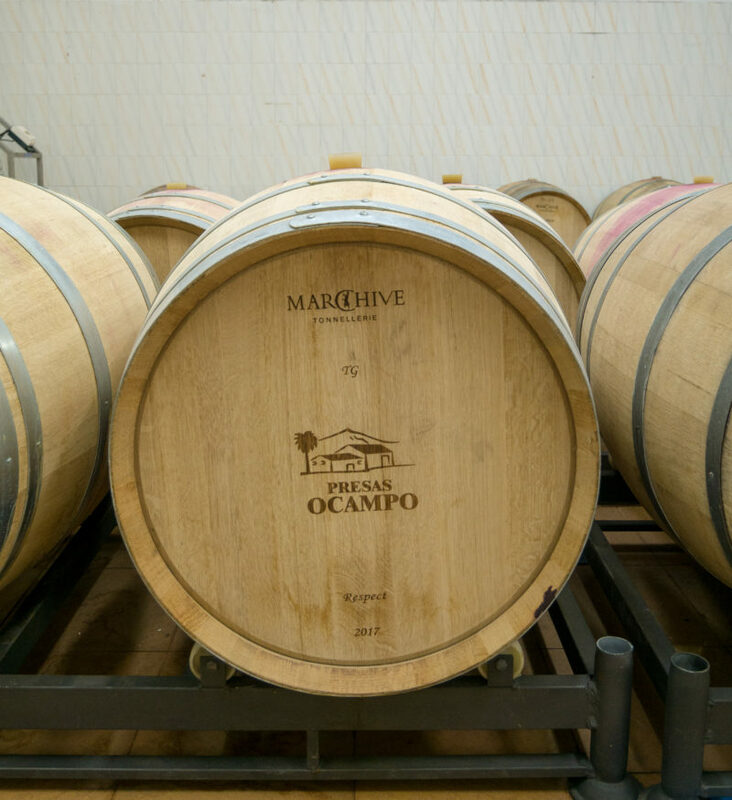 It is fascinating taking a tour around a working winery such as Presas Ocampo, because you really do get a taste for this history of wine-making while you taste the wines and take in the tradition. Following the tour and wine tasting, we all got back in the bus, feeling just that bit merrier, but also starting to feel slightly peckish to combine with the tipsiness of two glasses of wine on an empty stomach! Luckily we were on our way to a generous meal, of course with some more Canarian wine. 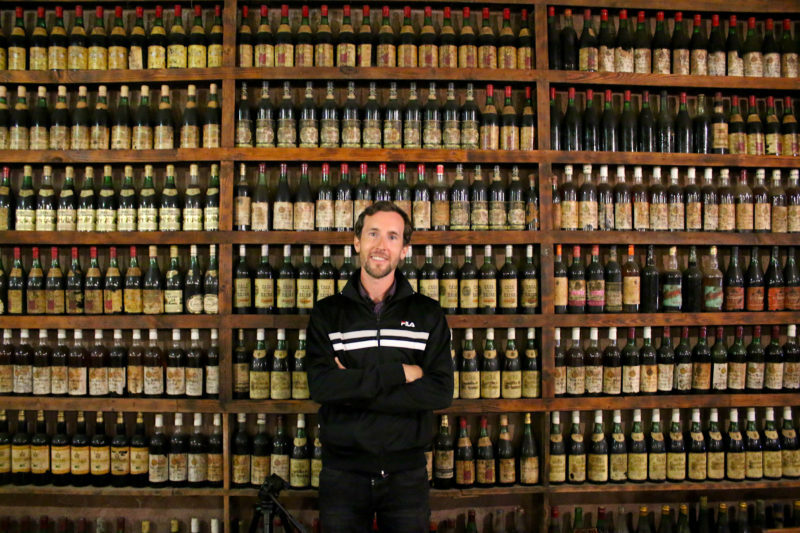 We arrived at a rather amazing old fashioned bodega and tapas restaurant a short drive away where we had the option of choosing a tapas and wine lunch. While it wasn’t included in the price of the excursion, 10 euros was a very reasonable price, especially after we saw all the food. The first thing to mention though is how fascinating the dining area was. Downstairs as we walked in there was a large food and gift store with many different traditional products and souvenirs to buy. Upstairs was amazing though, as there was a very large dining area with chandeliers hanging from the ceiling and around all of the walls were thousands of bottles of wine as a kind of amazing wine themed decoration. The tapas food consisted of many different plates including Canarian Potatoes with mojo sauce, calamari, croquettes with different fillings, bread and luckily for me, some food they prepared especially including garlic mushrooms and rice and vegetables. There were also several bottles of wine for all of us to share. The food was no frills but certainly satisfied our appetites as there was plenty of it at a very reasonable price. It also offered a good chance to sit and chat with some of the other guests on the excursion with us and find out their stories and experiences of Tenerife and the tour. They all seemed to be enjoying themselves a lot too! Following the satisfying meal and more tasty Tenerife wine, we headed back to the bus to be driven on to the final stop on our tour of the North. Next we set off for a stop in Santa Cruz de Tenerife, the modern capital of the island. 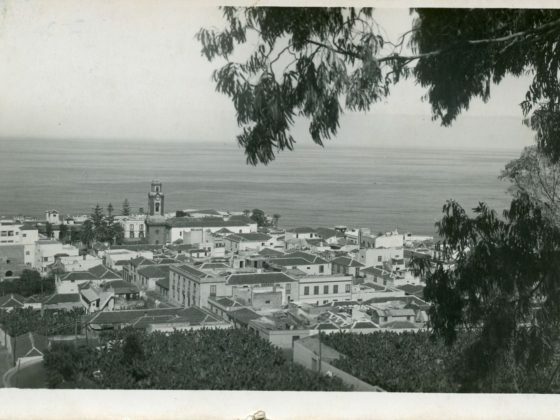 Whereas La Laguna was the capital of the island from its foundation in 1496, this position was later switched to Santa Cruz in 1723 due to a declining population and economy during the 18th century. Then between 1833 and 1927, the city of Santa Cruz became the capital of both the island of Tenerife and all of the Canary Islands. In 1927 it was decided that capital status of the islands would be shared between Santa Cruz and Las Palmas de Gran Canaria. Despite many historical buildings remaining present in Santa Cruz, especially in comparison to much of the south of the island, it is noticeably more modern in general than La Laguna with some very tall modern apartment blocks and some distinctly designed buildings, such as the amazing Auditorio de Tenerife. 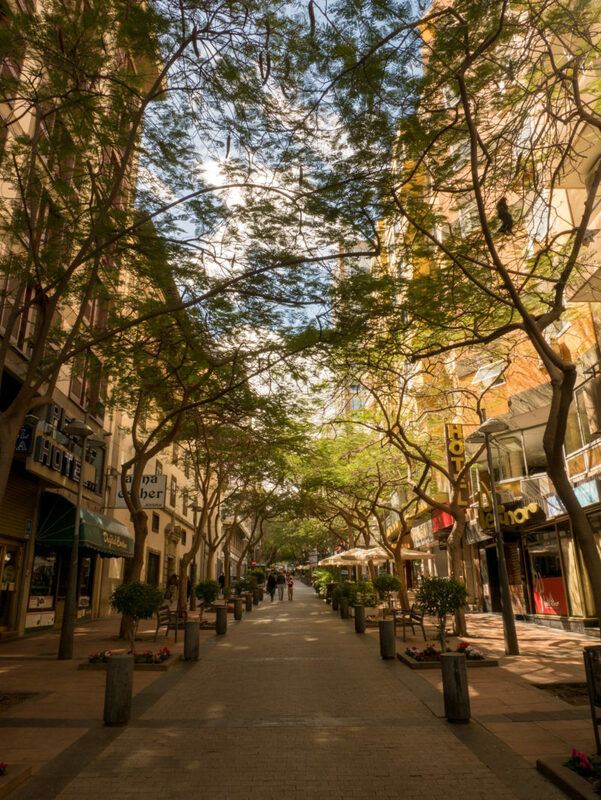 Despite these modern designs, it remains a very attractive city, which is perfect for a wander around and exploration, with plenty of gorgeous tree lined streets which are perfect to stop at for a coffee which myself, John and Gemma did. We had just enough time to finish our coffee, take some photos and wander around a bit more, before it was time to head back to the impressive Plaza de España, the largest square in Tenerife and the Canary Islands, with an artificial lake at its centre. Here Francisco and Ivan were waiting for us at the bus to drive us back to Los Cristianos. Overall this is an absolutely brilliant tour which John, Gemma and myself all fully recommend. 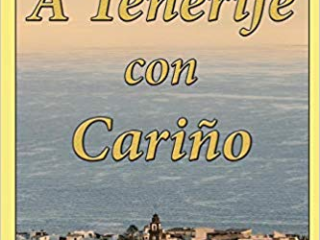 It was a lot of fun and offers a really great way to learn about the other side of Tenerife that many tourists never experience. If you are staying at Pearly Grey Resort then you can book this trip from reception, or alternatively head on over to the Viajes Nere Izerdie website (http://www.nereizerdie.com/language/en/homepage/) for all the details. We would like to offer our thanks to Viajes Nere Izerdie for sponsoring this trip for Tenerife Magazine and Pearly Grey Resort, and also to Francisco our wonderful guide and Ivan for driving us safely and comfortably around the island.